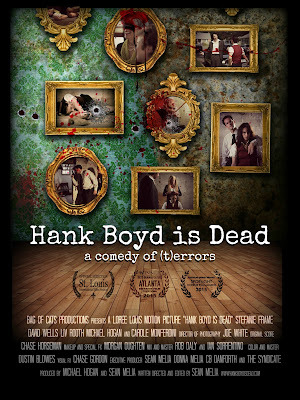 Bag of Cats Productions is proud to announce their award-winning horror comedy 'HANK BOYD IS DEAD' will be released this Spring and will be available for rental and purchase online. Meanwhile, horror fans can enter a contest to win one of a hundred limited edition DVDs, all autographed by the director and cast. To enter the contest and get the latest updates, sign up at HankBoydIsDead.com before May 1, 2016. All entries will be verified and the winners will be announced on May 15, 2016 via HankBoydIsDead.com. 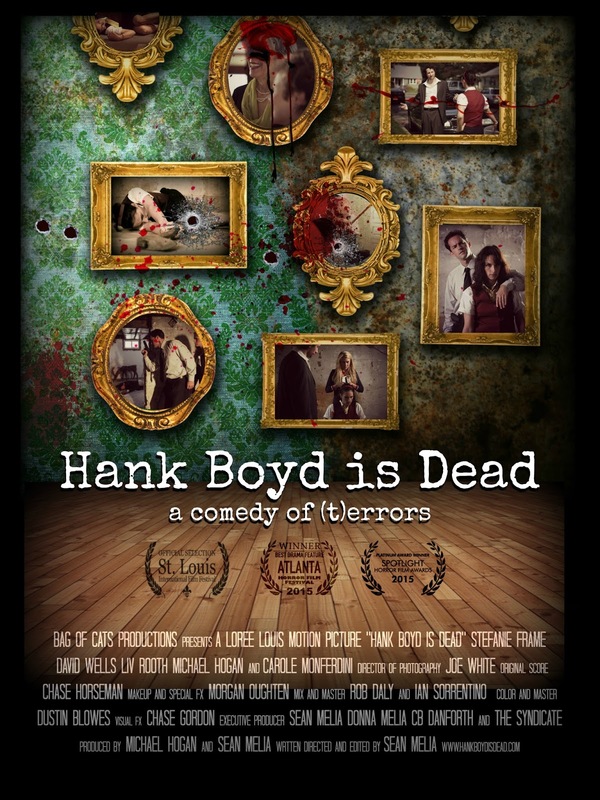 'HANK BOYD IS DEAD' is a pitch black comedy of (t)errors that follows, in real time, a hapless caterer held hostage by a bickering family of sociopaths. Written and directed by emerging filmmaker Sean Melia, this captivating tale of dysfunction and deceit has already won the award for Best Drama at the Atlanta Horror Film Festival and named a Platinum Award winning film by Spotlight Horror. Sarah Walsh is a struggling actress who recently moved back home to care for her terminally ill father. To make ends meet she works as a caterer and, as the film opens, is left to tend to the post-funeral gathering for Hank Boyd, a quiet loner who stood accused of a horrific crime and took his own life before standing trial. Sarah knew Hank in high school and doesn’t believe that he could do something so terrible. Her suspicions grow stronger after she meets Hank’s brother David, a local cop with a checkered past, his dimwitted partner Ray who’s charged with guarding the house, David’s mother Beverly who’s in the early stages of dementia, and Aubrey, his distant and obviously damaged younger sister. Sarah’s suspicions turn to alarm when she overhears a dubious conversation between David and Ray and learns they were involved in Hank’s death and may have plans for her as well. Meanwhile Beverly has become convinced that Sarah is her long lost daughter while Aubrey pines for the affections of her big brother …when she’s not trying to ruin him. So what do you think of the look of 'HANK BOYD IS DEAD' let us know in the comments.